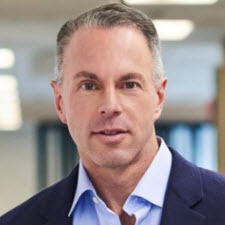 eBay CEO Devin Wenig makes 143 times the average salary of employees, according to company filings. eBay disclosed the information last week as required by Section 953(b) of the Dodd-Frank Wall Street Reform and Consumer Protection Act. - The median of the annual total compensation of all of our employees, other than Mr. Wenig, was $122,891. - Mr. Wenig’s annual total compensation, as reported in the 2017 Summary Compensation Table, was $17,590,833. - Based on this information, the ratio of the annual total compensation of Mr. Wenig to the median of the annual total compensation of all employees is estimated to be 143 to 1. The discrepancy between CEO and employee compensation is coming to light as public companies report the CEO Pay Ratio for the first time this year. A recent Wall Street Journal article found one of the biggest contrasts so far at Marathon Petroleum Corp. "The company's median worker made $21,034 last year. The oil refiner paid CEO Gary Heminger 935 times as much, or $19.7 million." We've got more on eBay executive compensation in today's Newsflash. I'm a NON big box dealing in women's tops, I received a 82% loss in sales in the last 3 years. as a result I stopped selling on eBay last month. My story is the same as those of many others. My formerly robust and profitable (not to mention enjoyable) ebay business has ground down to near-nothingness. I still sell a few pieces per week, but the compensation does not justify the effort. Once, I made almost daily trips to the post office, where I would meet up with all of the other ebay sellers in my tiny town. Now, I am there more occasionally, and all of those other sellers are absent. One successful seller here was forced into bankruptcy and had to move in with her children after her ebay business tanked; she was no dummy and was most astute. I am now ready to expand onto other venues; my only delay is deciding which service to choose in order to manage the export of my large inventory. Will ebay rise again? I doubt it; they have dug their grave too deeply. Does this $17.5 million include below market price free stock options? $17M for destroying the businesses of many small sellers and copying everything Amazon does. It would be nice if Devin actually earned the money he's being paid. There must be many other ''high'' paid (Million plus$) as I doubt most of the grunts (rank and file) get any where near $122,000. Well the poor peons who put your cars together ( haphazed as it may be ) Make somewhere around 50 grand a year. And the leaders of General Motors Mary whats her face make 22+ million a year for watching. In reality its hard to dispute the money these CEO's make but when the company it is running isn't making MUCH of a profit the then the CEO must go. In Ebays case. They make money in spite of themselves. Wallstreet loves them. Stockholders keep buying stock. That is what business does. I would guess that as long as you keep paying for those listings that don't show up, FVF, your store etc. then one would have no one to blame but oneself. Ebay isn't holding your hand to the fire to stay. If you stay you must be happy, IF YOUR NOT WHY ARE YOU STILL THERE. Ebay is there to make money for the stockholders ( as little as it may be ), not to support your family or friends. Ebay is there to make wall street happy NOT YOU. So all EXCUSES ASIDE WHY ARE YOU THERE IF YOUR SO UNHAPPY AND WHINING ALL THE TIME. And No I'm not an Ebay rah rah brownnose. I have 5 anchor stores and they make me lots of money. I'm 78 years young and have no desire to go elsewhere for the same beating. I'm not happy with the crap ebay pulls but have decided it easier to just work around their stupidity and go one my way. SO WHY ARE YOU STILL HERE??? It must be nice to take on a job with great pay and able to have falsehoods of what his has accomplish and able to pillage behind the scenes. Stockholders need to open your eyes, because Wenig is making a lot of money and it's not off the stocks. Thank heavens he the last of this breed. Who says there are no modern day despots? ...and you can bet he believes he is worth every cent. 25x more than a brain surgeon? Give some back, you douche. As do all the other CEO's of big corporations with as big of a salary separation from their other employees. It is far more common that some seem to realize. I should add that IMHO it isn't right at all, however it is common place. I told my accountant at end of 2017 to keep an eye out for a good fit job for me... he told me he has 3 full time ebay customers... and they sound just like me. Wenig’s raises reflect TRS fee increases. If you follow that logic, that would mean TRS had decreases in fees in 2012 and 2013 as his income as reported here decrease significantly over what his first year's income was. I don't remember that happening. Do you? Just as an FYI, the large compensation package in 2011 was to attract him to eBay. OK, lets ALL agree that Wenig is the Devil's Step-Daughter in drag, Okay? But on a LIGHTER NOTE what I noticed in the comparison of eBay to MARATHON OIL is that whoever ran those numbers must be including the (essentially) minimum wage C-Store/Gas-Station employees. Pardon me for NOT including those in the AVERAGE income of Marathon Oil employees when they work for Marathon Corporate, Marathon Refining, Marathon Chemical, Marathon Exploration & Production, and/or Marathon Pipelines. For THOSE folks the Average Salary is much closer to $90k.